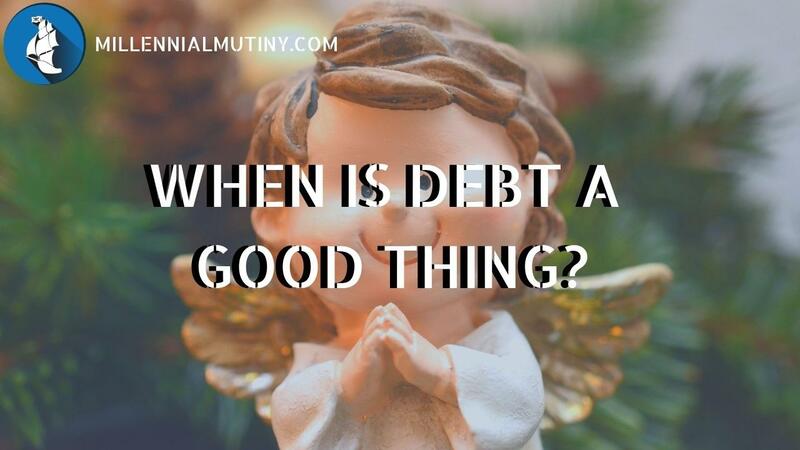 When Is Debt A Good Thing? We mostly think of debt as a really bad thing that we want to get rid of as soon as possible. However, there are some forms of debt that are really good for your financial health. Despite them being good for your financial health, all of these ‘good’ debts come with a significant health warning. Unless you are super disciplined and you know that you will not spend more money when you have debt available, you should skip this post and move on. Although these ‘good debts’ can be great, they can also be dangerous. If you are likely to submit to temptation, best not to have any debt available at all. So how then can debts be good. Well, there are actually a number of good types of debt. Some of them are better than others, but I am going to outline below the 5 types of good debt. This list is in order of preference. That is, if you can choose between more than one of the below options for your purchase, then always pick the option that is closer to the top of the list. Believe it or not, there is actually some debt that pays you. Yes, you did read correctly – some debt can actually earn you money. The best example of debt that pays you is a cashback or rewards credit card. These credit cards let you earn cashback or rewards points, usually on everything you spend. I use a cashback credit card that gives me 1.25% back on everything I spend throughout the year. I now put as much of my spending on the credit card as I can and I earn around £200 per year in cashback – just for spending money I was going to spend anyway. Alternatively, you can also get rewards credit cards from almost anywhere nowadays. With a rewards card, you will generally earn points that can be converted into vouchers to spend with the retailer who issues the card. You can get rewards cards that give you airmiles and other bonuses too if you travel a lot. ALWAYS pay your credit card off in full at the end of the month. Most cashback and rewards cards have higher than average interest rates. If you are going to be carrying a balance on a credit card for any period of time, a cashback card will probably not be very efficient. NEVER spend money on the card just to earn the rewards. At the very most the cashback or rewards will be worth around 5% of what you spend so this is a zero sum game. NEVER spend more than you were going to, just because you have the credit card. When you have a line of credit, there is the temptation to spend a little bit more than you might have otherwise. If you will be tempted, don’t have the credit card in the first place. If you can’t obtain a credit card that pays you, the next best thing is to use debt that is free. There are lots of ‘interest free credit’ deals out there. These often come from retailers who are looking to incentivise people to buy their products and interest free finance is available on anything from a new dining table to a new car. If you are planning on making a purchase and you have the money in the bank to pay for it, but you then realise that there is an interest free finance deal available, I would always buy the product on the interest free deal if possible. This is advantageous in several ways. First of all, you are borrowing money for free. Assuming that the rate of inflation is positive, the value of the debt you owe is actually falling in real terms over time. The other big benefit is that you can keep the money in your bank account or investments earning interest and then only pay off the debt when it is due. Imagine you want to buy a new couch for $1,000 and you have the money in the bank to pay for it. As you go to pay, you notice there is a 12 month, ‘buy now, pay later’ interest free deal, meaning you can finance the whole balance interest free and pay nothing for 12 months. You take advantage of the interest free credit. Knowing you don’t have to pay back the $1,000 back for 12 months, you seek out a fixed rate savings bond that matures in 12 months when the payment is due. This pays you 2% per year. This means at the end of 12 months, you will have $1,020. $1,000 to pay back the finance and $20 in your pocket! At the same time, in the 12 months that has passed, inflation has been running at around 3% meaning that, in real terms, the value of the $1,000 you have to pay back is now only $970. ALWAYS have a plan in place to pay off the interest free finance at the end of the term. NEVER buy something just because interest free finance is available. You should only use it for things that you would be happy to pay for anyway. NEVER spend more than you were going to, just because the finance is available. When you have a line of credit, there is the temptation to spend a little bit more than you might have otherwise. Shops often use credit deals to get you to ‘upgrade’ your purchase. For example a salesman might say “would you like to add [insert unnecessary upgrade here] to your order? It’s only $10 per month extra”. If you wouldn’t have the extras if you were paying cash, don’t have them if you are paying credit. ALWAYS check that the debt is actually interest free and that there is no other charges or fees to pay on finance. This is quite rare nowadays, but there are still some situations where buying on credit can make things cheaper. The most common example is when buying a new car (only you can decide if a new car is actually a smart use of your money – used cars are often much better value). When you buy a new car, the dealership will be all too keen to sell it to you on finance because they make more money if you do. In order to incentivise people to pay on credit, you will often see a ‘dealer deposit contribution’ mentioned as part of the finance deal. This means that the car dealer will pay some of the deposit for you if you pay on finance. If some cases, you can use this to your advantage – if you are smart. Imagine you are looking for a new car and it has a cash price of $25,000. You notice that there is a finance deal available with monthly payments of $300, 6.9% interest and it comes with a dealer deposit contribution of $2,000. You could just pay the cash price of $25,000, but you have a cunning plan and you take the finance. The dealer pays the $2,000 deposit contribution and now you have $23,000 on finance. If you kept the finance, you would pay a load of interest at 6.9%, which equals around $6,300 over the 4 year term of the deal – way more than the $2,000 deposit payment. But, being smart, as soon as the finance is granted, you immediately pay off the outstanding balance of $23,000, incurring a $225 ‘final purchase fee’ (this is quite normal when you pay off a car finance deal). In this case, you have paid a total of $23,225 for your new car that should have been $25,000 – a saving of $1,775! Care is required here as all deals are different and you should do the sums to make sure there is a genuine saving to be made. ALWAYS have a plan in place to pay off the finance immediately. NEVER buy something just because finance is available. You should only use it for things that you would be happy to pay for anyway. NEVER spend more than you were going to, just because the finance is available. When you have a line of credit, there is the temptation to spend a little bit more than you might have otherwise. Car dealers often use credit deals to get you to ‘upgrade’ your purchase. For example a salesman might say “would you like to add alloy wheels and metallic paint? It’s only $20 per month extra”. If you wouldn’t have the extras if you were paying cash, don’t have them if you are paying credit. ALWAYS check the small print of the deal and do your maths – make sure there is an actual, real life saving to be made. If I was writing this post a decade or so ago, this section would not exist. In this new world of ultra low interest rates, there is some potential advantage to be had, using something that I call inflation arbitrage. In simple terms, inflation arbitrage can be had when you can borrow money at an interest rate lower than inflation. At the time of writing, you can secure a mortgage, fixed over 5 or even 10 years at an interest rate which is just over, or even below 2%. Inflation is also running at around 3%. This means that the cost of living is going up by about 3% per annum. In this example, you are paying 2% on a debt and the debt is ‘shrinking’ (in real terms – i.e. in purchasing power terms) by 3% per annum, meaning you are, in effect, 1% per annum better off – not huge, but every little helps. You can also use this same effect to make purchasing and investing decisions. I could afford to pay most of my mortgage off now if I wanted to, but instead I choose to invest the money because I am confident of getting a return of around 7% per year. This is much higher than the sub 2% interest I pay on my mortgage. Even if I choose to use my investments to pay off the mortgage later on, I am still better off to the tune of 5% per year because I have had the use of the money during that time. You MUST be able to fix the interest rate at a point that is below the current (and likely future rate of inflation). If you can’t fix the interest rate, it will probably go up as inflation increases, making the whole exercise a waste of time. You MUST keep the debt and the rate of inflation under review. If the inflation rate falls below the interest rate or the interest rate increases above inflation, you should repay the debt at that point if you can. The final type of debt that can be good debt. Is debt that helps you to grow as a person. Perhaps there is a course that you can take that could increase your earnings potential, but you just can’t afford it at the moment. Maybe you need to invest in a piece of equipment to start a business or side hustle but you just can’t pull the money together. In these cases, even if the debt has an interest charge, it can, sometimes be worth taking the debt on. The reason I believe this to be the case is that the investments that pay the highest rate of return are usually investments in you! While you can earn 1% in the bank, perhaps 3% by buying bonds and 7% on the stock market, if you invest in improving your skills and knowledge, the returns can run into 100’s or 1000’s of per cent. I have invested well over $100,000 into coaching and courses over the past 4 years, but this investment has paid itself back well over 10x already. If I had not improved my own skills and knowledge, my business would probably not exist, I would not have a blog and many of the other skills I have learned in the past few years. There is a big but coming though – You should only use debt to fund courses and knowledge acquisition if you can easily see a way to generate a return on that investment. It is no use getting knee deep in debt to improve your painting skills if you just see this as a hobby (by all means learn painting, but increase your income using a side hustle to afford it first). You should only invest into courses and skills acquisition if there is a realistic and tangible return on the investment. If you are convinced that with your new-found painting skills, you could churn out masterpiece after masterpiece that will sell for thousands, then by all means take the course. I would only suggest taking on debt to fund new skills if you think that there is at least a 2x return on that investment within the first year (and that 2 x projection should be on the more cautious end of your estimates). NEVER take on debt for new skills that don’t have a real prospect of generating a return on your investment. By all means learn new things for fun (in fact – I positively encourage this), but don’t get into debt over it. ALWAYS be realistic with your projections. It is always exciting to be learning a new thing and we can get carried away into thinking that the latest online marketing course will make you millions. Perhaps it will, but remember to be objective and make logical decisions. NEVER use high interest debt or payday loans to fund courses or new skills – this is a slippery slope. NEVER use debt to learn something new just because you ‘don’t have anything better to do’. I often hear of students taking on massive debts to take masters courses in obscure subjects just because they haven’t really figured out what they want to do in life. As I said at the beginning, debt can be a force for good, but only if it is used very carefully and with discipline. If you think that you might get into trouble if you have credit available to you, it is better not to have it at all. If you can follow the rules though, using these good debts can easily save you a few hundred or even thousands of dollars per year. If you are struggling with paying off your debts, you should check out this post and sign up to my 7 day fast track financial freedom course below. Day 5 gives you all the tips you need to clear your debts fast. 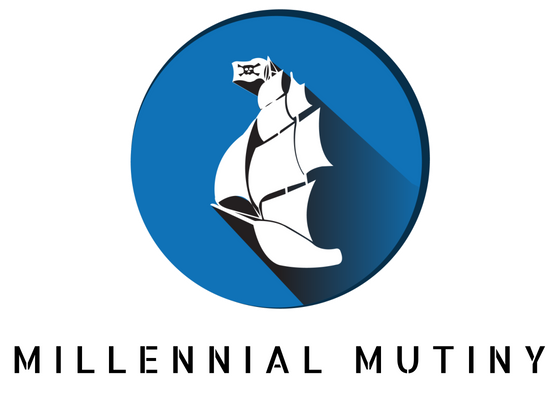 I consent to receive the email course and financial freedom updates.